I was delighted to see a short item on ITV news a couple of weeks ago about Ageless Thanet, and I had to share it again here. Did you know that 25% of older people in Thanet live by themselves? That’s not a negative thing for everyone, as some are well-connected, living in urban areas with lots of facilities, friends, and family members around them, as well as being in good physical and mental health. 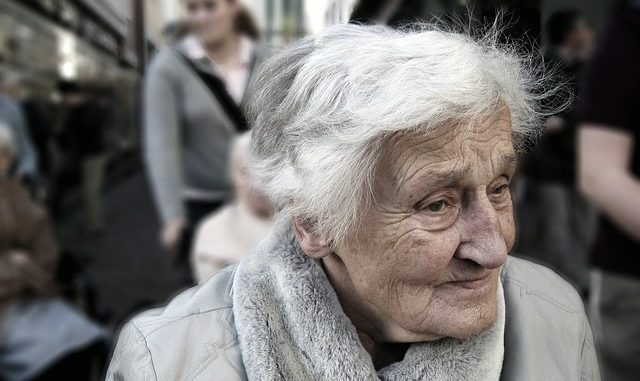 But for those older people who don’t have those opportunities – who aren’t mobile, say, or whose mental health isn’t strong, and who can go days without speaking to anyone expect the postman or the doctor as well as not having the funds or the motivation to get out the house – life must be hellish. That’s more of an existence than a life. I find myself becoming grouchy if I spend too much time by myself; I can get lonely, and miss the company of those people I treasure. But I’m able to get out and see them; there are plenty of people who don’t have that option. But there are opportunities to change that; not necessarily overnight, but making a change nonetheless. Ageless Thanet is leading the charge in many ways locally, and we should be proud of so many agencies and people working together to change the opportunities for older people. The lottery is funding this to the tune of £3 million over five years, and that’s quite something; in an era when large-scale funding is going to become more scarce after Brexit’s loss of access to European payments – so the fact the money’s there is quite reassuring. I’ve had the experience of seeing their work first-hand, and it works – but more can still be done, of course. The perennial question is a simple yet complicated one; how do we get the services – advice from Citizens Advice, activities from Your Leisure, volunteering, employability, and having businesses that are age-friendly – made available to more people? How do those isolated people hear about what Ageless Thanet are offering free of charge? I don’t have the answers, and I know it’s a question that people who are cleverer are asking and exploring, but one answer is to communicate – and another for us to not be embarrassed about confronting isolation wherever we see it. Do we encounter a lady in the supermarket who loves a chat with the checkout worker? Is there a guy at the post office who loves a chat for half an hour? Do we meet someone when we’re walking our dog and always stops to pet them? Have you ever given thought to what they must be feeling? We’re so often embarrassed to confront other peoples’ emotions, especially when they come across as so raw and vulnerable. Instead, we just get irritated by the wait we have to endure; but how would we feel if it was us holding up the queue for the same reason? Would we want to know about people who might want to help? Wouldn’t you want to be told about others who feel the same way and have banded together. So think about it. Consider brilliant schemes like Ageless Thanet and then look around you; who are your neighbours? Those women in the supermarket or men in the post office – who are they? Isn’t it a frightening thought to imagine ourselves like that? Then why shouldn’t we give the same empathy to those who are already? Ageless Thanet, I applaud you for being part of the community and taking the lead; let’s keep the activity going so that people feel the improvements. A great article about a great project. What I love about Ageless Thanet is that they don’t patronise older people, unlike the usual suspects (Age UK, Age Concern, Volunteer Bureaus). Not everyone likes tea dances and Ageless Thanet get that. I’ve used their activities and life planning and they are BRILLIANT. Well done to such a forward thinking group..Its amazing how you’ve grown and the many varied type of sessions you do. More importantly bringing people together who might otherwise feel lonely. I’m sure your Event at St. Georges school will encourage even more people. Ageless Thanet is a lifeline! Reach out and grab it!